Premiering on Soundcloud, take a listen to Leave Me Here the new single from Bel Esprit, below. I've known about the band almost since I started university, as they played at Oxjam Oxford in 2014 when I was volunteering on the door, but it wasn't until the end of February this year when they played a show at The Bullingdon in Oxford that I took the time to listen to them properly, and I'm really enjoying what I'm hearing. 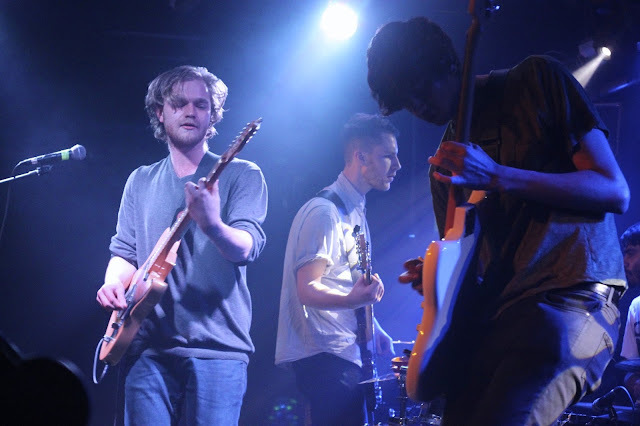 I initially went along to the Oxford show to catch Homeplanetearth who were supporting, but was impressed by the set from Bel Esprit, you can read my post about the evening here. If you like the track then you're in luck as they're playing a mini Easter tour to promote the single, starting tonight (23rd March) in Reading at Purple Turtle, a hometown Southampton show at Joiners on 1st April, London on 2nd April at The Good Ship and Bournemouth's 60 Million Postcards on 7th April. Photo by me from their recent headline Oxford gig at The Bullingdon. Leave Me Here will be released on iTunes, Spotify (and all that jazz...) on 8th April.